Stone floors are becoming very popular in residential and commercial environments as is the need for professional stone floor cleaners. 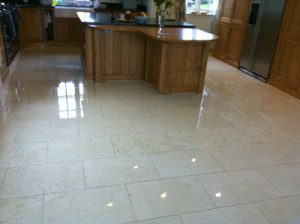 There are numerous families of stone such as, travertine, limestone, slate, flagstone, marble and granite. Each surface must be cleaned according to its composition and circumstance. 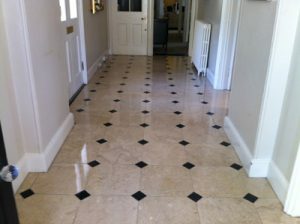 At Castle Cleaning we are constantly investing in new stone floor cleaning techniques to keep us as one of the very best stone floor cleaners in Kent. Castle Cleaning Technicians’ have attended courses and have many years onsite experience of cleaning and restoring the Stone Floors listed.